2) Analysing one's own games. Studying master games. 4) Taking good advice from a coach and thereby saving time. This is where the ChessBase DVD comes into its own. There are many modern brilliancies and fascinating ideas on this DVD. Comprehensive notes are provided to most of these games for your later enjoyment. Gambit play is still alive! we hope you embrace it. Video running time: 3 hours 21 min. Andrew Martin is 53 years old and is the Manger of Coaching for the English Chess Federation. 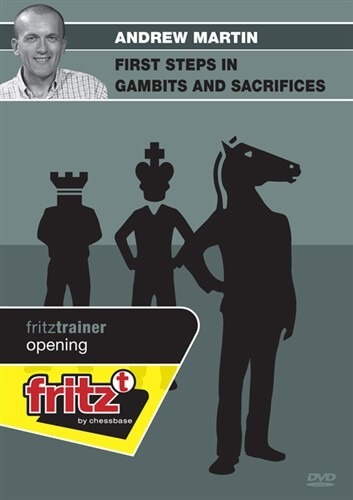 He is a Senior FIDE Trainer and International Master.